BMW has announced that they will recall 24,340 cars and sport utility vehicles in the United States over a concern that the emission control systems may not be calibrated properly – a problem that could cause the service engine soon light to come on due to excessive levels of contaminants being released through the exhaust system from both diesel and gasoline powered vehicles. This new BMW emission system recall affects 21,600 BMW 3 Series sedans from 2009 through 2011 powered by the diesel engine option along with 2,740 X5 xDrive50i and X6 xDrive50i sport utes from those same model years that are powered by the 4.4L twin turbocharged v8 engines. In these vehicles, there is an intricate system that helps to manage the amount of harmful gases that are releases into the atmosphere and it seems that the control systems in the X5 xDrive50i, X6 xDrive50i and diesel 3 Series sedans may have a component causing these emission levels to be higher than allowed by various state laws. When those emission levels get high enough, the Service Engine Soon light will come on – sending most people to what would normally be a costly trip to the dealership. 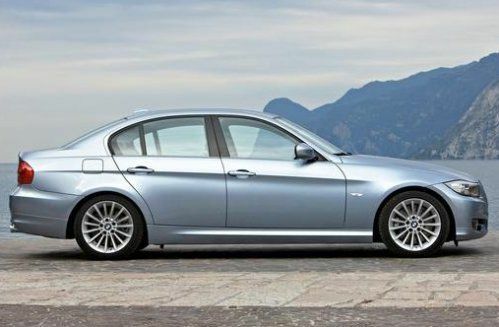 The prime components that could be at fault for this BMW emission recall are the Exhaust Gas Recirculation valve (EGR), the Diesel Exhaust Fluid mixing system (DEF) and the Selective Catalytic Reduction system (SCR). For those unfamiliar with modern diesel emission systems, these three systems help to reduce the amount of nitrogen oxides by adding a chemical (which is actually derived from urine) to help convert those harmful gases into other items that are not harmful to the environment – mainly nitrogen (which occurs naturally in our atmosphere) and water. When this system isn’t working properly, other than lighting up the SES light, the vehicle will begin to emit higher than permitted levels of harmful gases that can harm the environment. These are the gases that are partially at fault for the way Los Angeles looks and smells on a hot day…which is why California is the strictest state in the country for emission standards. It is unclear as to which components are at fault for the recall of the gasoline powered BMW X5 xDrive50i and X6 xDrive50i but in the event of any vehicle emitting harmfully high levels of greenhouse gases, the BMW group is doing the environmentally responsible thing and getting these affected models back to dealership for inspections. Luckily, shy of a Service Engine Soon light and higher emission levels – there is no real safety risk except to Mother Earth. The recall of these 24,340 BMW 3 Series, X5 and X6 vehicles is set to formally begin on May 9th – at which point owners will be contacted and asked to return to their local BMW dealership for repairs. Upon return to the dealer, a technician will inspect those various components of the emission control system to ensure that they are working properly and in the event that a problem is found; repairs and replacements will be made to the vehicle. The technician may also reprogram the vehicles engine control unit that handles the emission components. These repairs will all be done free of charge to the customer. Can you post the recall number(s)? My BMW service dealer states they cannot find it.